It was cold - not cold enough to snow, but cold. The family was all together at Nina's place for the Thanksgiving weekend. Dinner would be leftovers from Turkey Day and we were all inside in a nice warm place. 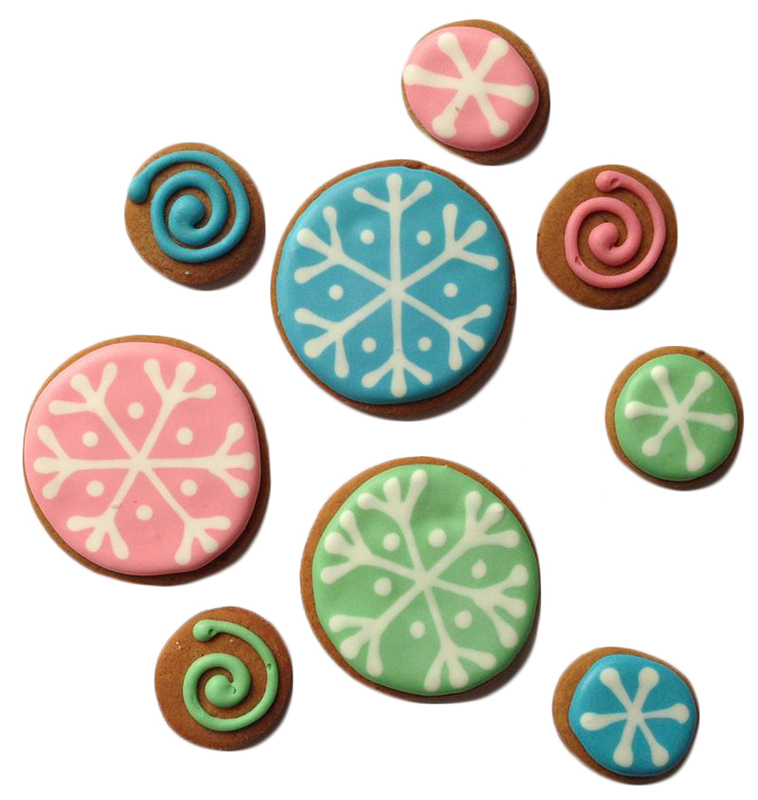 Nina thought it would be fun to decorate cookies and so she baked ginger cookie circles and we made simple snowflakes. Above she used a PME 1.5 writing tip to get the fine lines. And we tried the wet on wet technique and Jill made a few spirals. Later Nina used the scraps from a gingerbread house to make tiny "pop in your mouth" snowflakes out of a flower cutter. Do not try to make a house out of The Ginger Cookie recipe posted on this site - it will soften in damp weather. Nina used Lila Loa's No Chill Gingerbread Roll Out Cookie recipe and it worked very well. And then it was Christmas and we were all so busy! 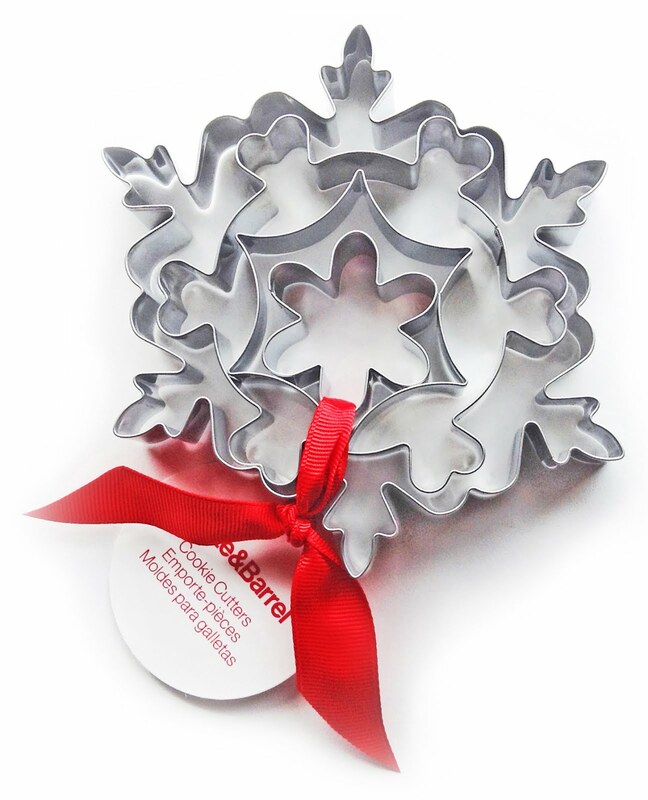 Did you see the snowflake cutters at Crate & Barrel. So pretty all tied together - I'm anxious to make them but we still have a lot of Christmas cookies left . 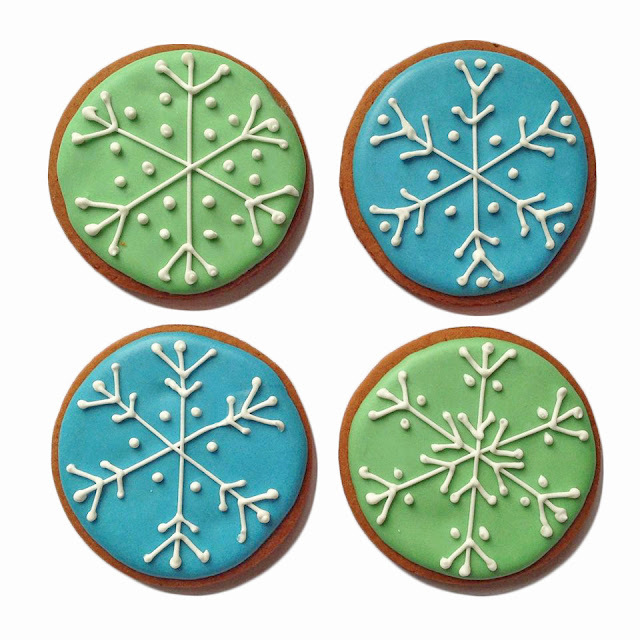 . .
For more snowflake cookies see WINTER in the PAGES section. Stay warm! That was fun to decorate cookies together! I love the new cookie cutters. 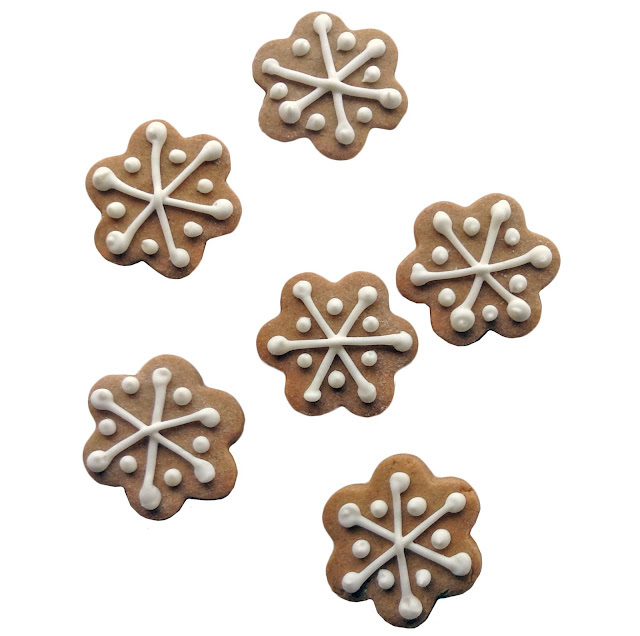 I have a feeling next Christmas will also include snowflake cookies! It WAS fun to decorate cookies together - it hasn't worked out for us to do it in a long time! Gotta seize the opportunity . . .